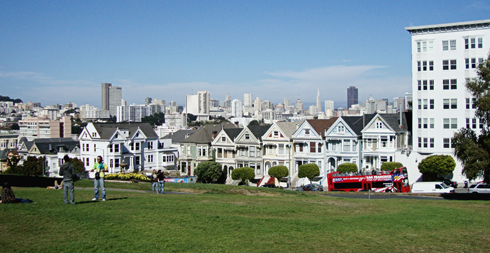 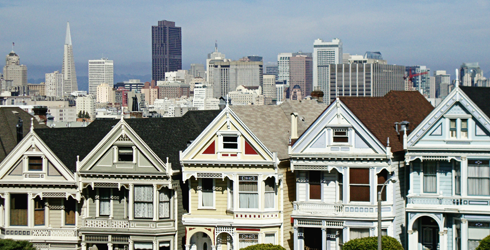 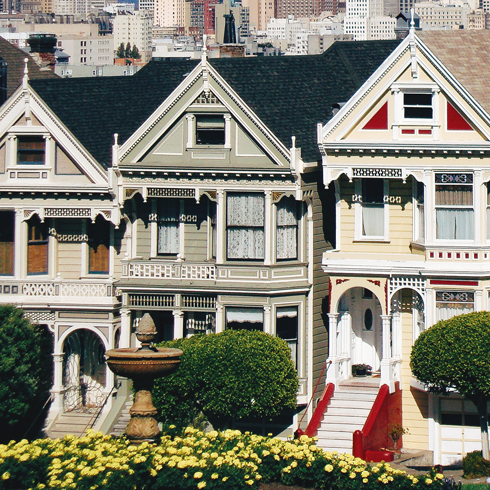 This row of Victorian and Edwardian homes, known as the Painted Ladies, are iconic San Francisco, California landmarks. 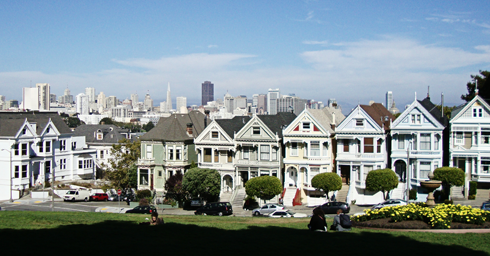 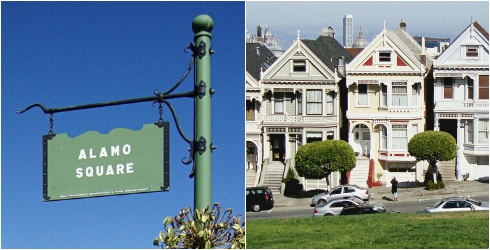 Located across the street from Alamo Square Park, the Painted Ladies are arguably some of the most photographed homes in the world. 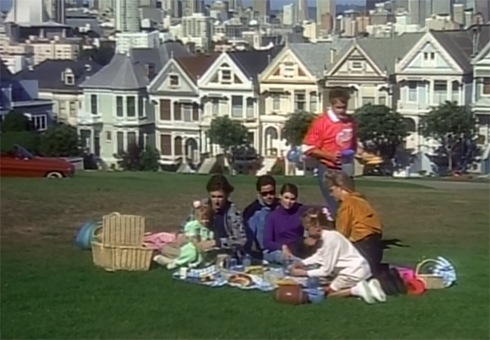 They were also famously immortalized in the opening credits of Full House. 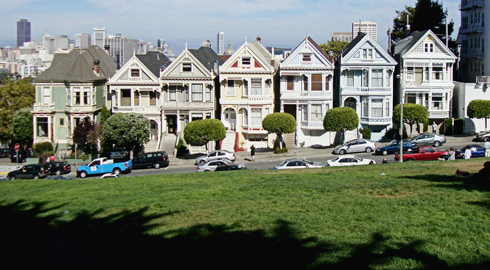 Painted Ladies in Full House opening credits.